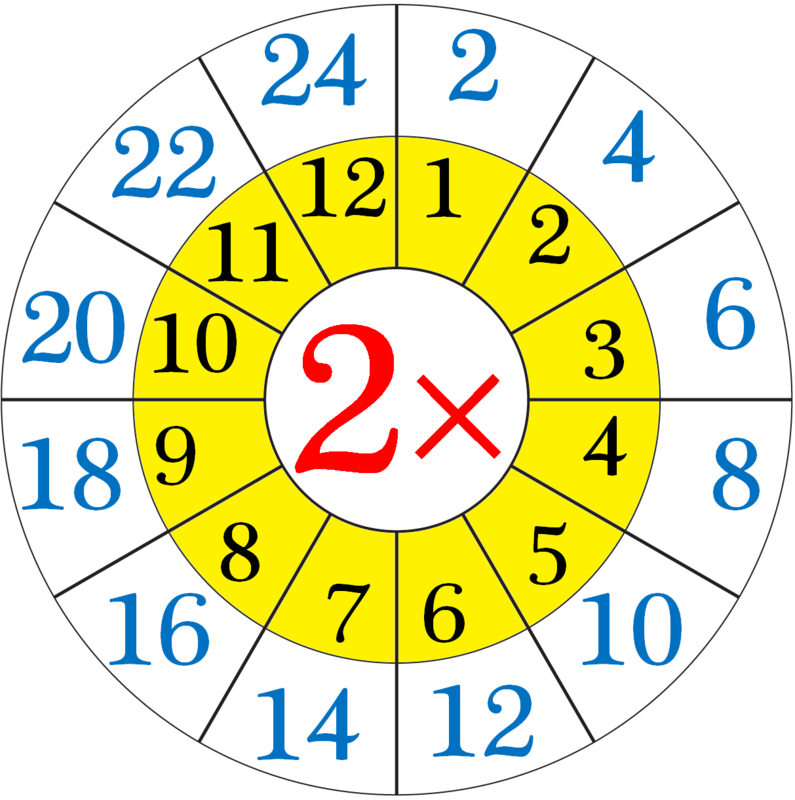 Repeated addition by 2’s means the multiplication table of 2. (i) When there are 5 bunches of 2 apples in each bunch. Therefore, there are 10 apples. (ii) When there are 9 packets of 2 chocolates in each packet. Therefore, there are 18 chocolates. We will learn how to use the number line for counting the multiplication table of 2. (i) Start at 0. Hop 2, three times. Stop at 6. (ii) Start at 0. Hop 2, four times. (iii) Start at 0. Hop 2 nine times. How to read and write the table of 2? The above diagram will help us to read and write the 2 times table. Now we will learn how to do forward counting and backward counting by 2’s. Backward counting by 2’s: ……, 50, 48, 46, 44, 42, 40, 38, 36, 34, 32, 30, 28, 26, 24, 22, 20, 18, 16, 14, 12, 10, 8, 6, 4, 2, 0.